What is QIA’s new revenue policy? QIA’s revenue policy was established to ensure that the organization has a clear and transparent financial plan that benefits Inuit today as well as tomorrow. The policy which was approved at the October 2016 annual general meeting after years of work, addresses three key areas: operations, long term savings, programs and benefits for Inuit. The policy provides the annual revenue needed to carryout QIA’s work and programs at the same time as supporting long-term savings for the organization’s future and QIA social programs. QIA operates from a combination of the General Fund and the Economic Development Fund. The Legacy Fund is designed to invest money for the future. The Benefits Fund is used to deliver programs to Inuit. As the Legacy Fund grows the revenues from the fund go to the Benefits Fund to increase programs for Inuit. 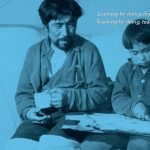 By saving through the Legacy Fund, QIA hopes to always be able to provide stable benefits to Inuit, even when revenues are lower. 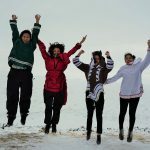 The policy also helps reduce Inuit’s reliance on outside funding over time by creating an internal pool of revenue for benefits and programs. Where does the money for the Legacy Fund come from? Inuit Impact Benefits and Agreement payments from major projects. Money received from Nunavut Tunngavik Inc. from the mining of Inuit Owned Minerals. Money received from sand and gravel projects on Inuit owned land. Dividends from the Qikiqtaaluk Corporation and the Nunasi Corporation. Money received from any investments of the Legacy Fund. The Legacy Fund may also receive surplus revenues from the Economic Development Fund. The Legacy Fund is design to ensure that revenues placed into the Legacy Fund are never used for QIA operational purposes, thereby protecting long-term benefits for Inuit. How does money flow from the Legacy Fund to the Benefits Fund? The Benefits Fund is designed to received annual payments from the Legacy Fund. In this way QIA can ensure a stable base of funding to run programs even if revenues change over time. The fund also allows for programs to expand in the future as the invested money grows. The QIA Economic Development Fund is designed to receive money from licenses and leases on Inuit Owned Land. These funds are first allocated to QIA’s operations and thereafter to the Legacy Fund. The QIA General Fund is the account through which QIA receives and allocates its annual financial contributions from the Nunavut Trust.